Quality in health care is defined thus by the Institute of Medicine, “The degree to which health services for individuals and populations increase the likelihood of desired health outcomes and are consistent with current professional knowledge”. The seven goals of quality in healthcare are: Safety, Timely, Equitable, Effective, Efficient, Empathic and Patient-Centered (STEEEEP). Support from supervising Specialists in obstetrics and gynecology as well as pediatrics. Following these changes, the facility experienced an increase in quality as documented by the self-assessment carried out in 2013 using the SafeCare tools, placing the facility on a Level 2. The quality team is still working to ensure that the facility maintains the systems already in place whilst improving on others. There is a monitoring and evaluation team in the facility that uses agreed indicators to continuously monitor the quality of care. One example is an indicator for sepsis. In 2014, the Community Health Insurance Scheme enrollment was made easy for clients as it was made electronic and so reduced the cumbersome manual registration process. This change also reduced drastically the risk of fraud which arises when cash is collected. The Community Health Insurance and Enrollment System (CHIEASY) was launched April, 2014. To mitigate against the impact of the increase in service utilization by clients and subsequent increase in workload the staff had to bear, a staff reward system was launched in Obio Cottage Hospital in order to keep staff motivated. This performance based financing was introduced to the facility in order to maintain quality of services provided by the staff in the facility despite the increase in work load. This was launched in March 2014. OCH takes the capacity building of the staff very seriously. Staff have been trained as fire wardens, on the use of partographs properly, on prevention of mother to child transmission (PMTCT) of HIV and malaria. Seventy percent of the nurses in Obio Cottage Hospital have received Basic Life Support training (BLS) and the remaining 30% are in the process of being trained in 2015. OCH doctors receive support and capacity building from the consultants in paediatrics and as well as obstetrics and gynecology. The continuous quality improvement journey has allowed the facility to build up systems and processes which are documented for the staff to follow to ensure uniformity of process whilst rendering care. Creating a safe and suitable environment for the staff and also for clients is an important part of the quality journey. 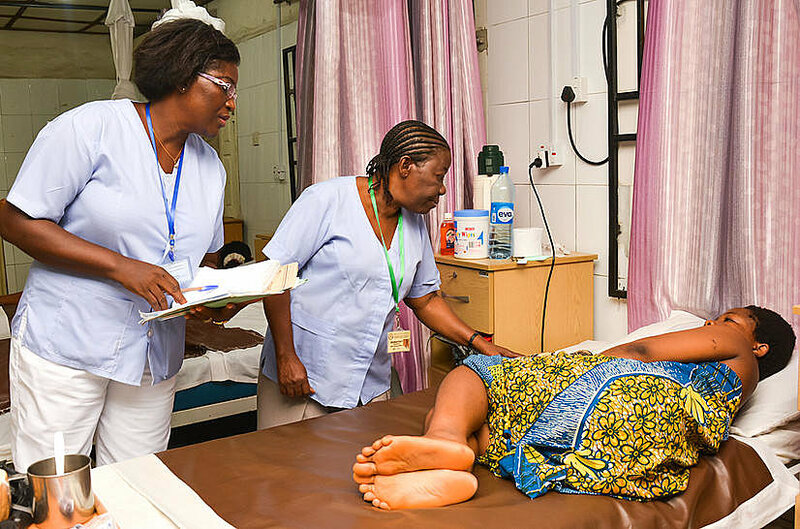 The journey is still on, with the use of the SafeCare tools and all the investments into quality at the Obio Cottage Hospital enable us to provide high quality care with the patient at the centre.